Water mitigation is the process of restoring a property after a water loss such as a sump pump failure or flooded basement. The process is often broken down into two main roles; the initial emergency mitigation and the rebuild. It is important to use a company that is capable of doing both and doing both well, like Modern. We are a full service restoration company with over 25-years of experience in handling property insurance claims. Response time is critical in minimizing damage, especially when it comes to a water loss. This is why Modern is available 24/7 and able to dispatch our emergency mitigation crews at 2pm or at 2am, with a 1-hour response. We use the latest industry technology and tools to be able to fully handle any type of loss. Modern’s experience in handling property insurance claims is key to the process. 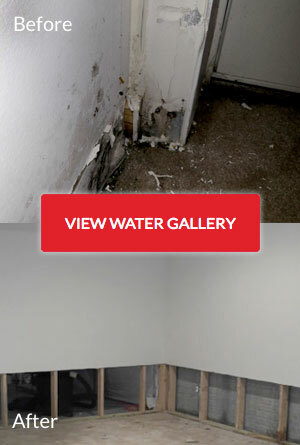 We ensure that everything damaged is fully covered and approved in the scope of work. This prevents you from having to pay anything out-of-pocket over your deductible. Our experience also moves the process along smoothly and efficiently so you aren’t waiting weeks or months for your property to be fully restored like most of our competitors. To learn more about the water mitigation process, contact us here.